Buying and selling online is now becoming a huge part of daily life on the internet for a lot of people, and it's only increasing year in year out. So now is the time to move online and start selling your products to a huge audience browsing for what you have to sell. Our designs are made intuitively to allow the user to easily find what they are looking for with strong calls to action and a seamless product checkout. We categorise all of your products in a way that allows search engines to pickup exactly what you are offering which makes it rank online for your specific product or category of product. 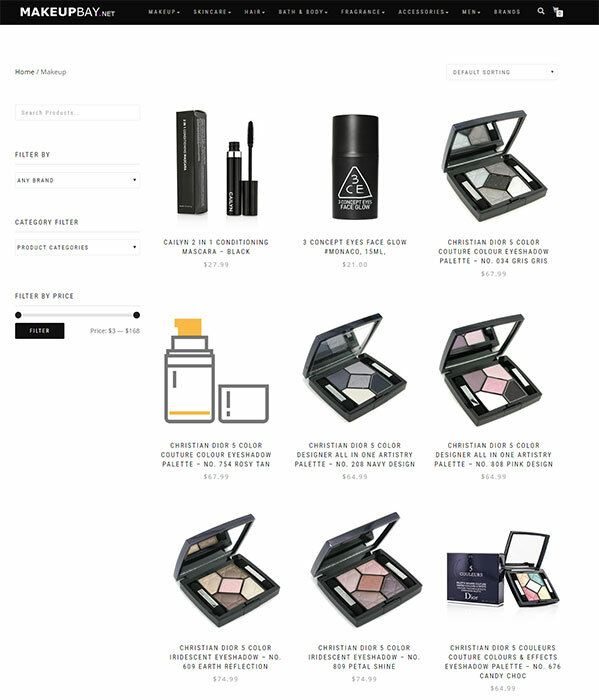 When you have a lot of products such as one of recent eCommerce builds "MakeupBay" which has thousands of products it's important to be able to easily navigate your way around the website through the use of product filters which allow the user to find exactly what they want quickly. With so many different eCommerce platforms available and so many different payment gateways available for the checkout process it can all seem a bit overwhelming. 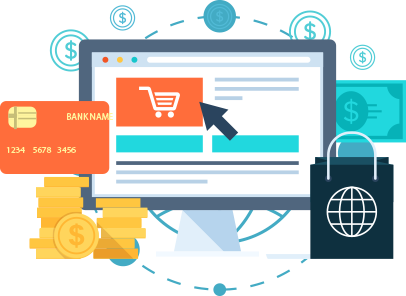 We are experienced in building using all types of eCommerce platforms such as Shopify, Woocommerce and Adobe Business Catalyst. We can help you decide which is the best option for you and your business. 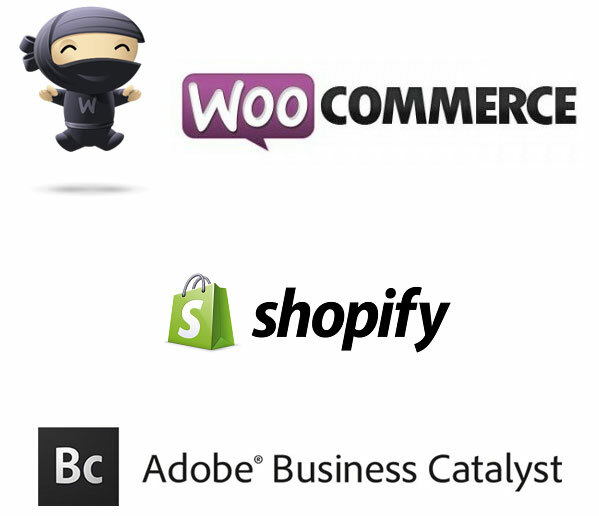 They all have there differences and we are happy to discuss these with you, we recommend Woocommerce because it offers better SEO customisation for ranking on Search engines and no subscription fees.